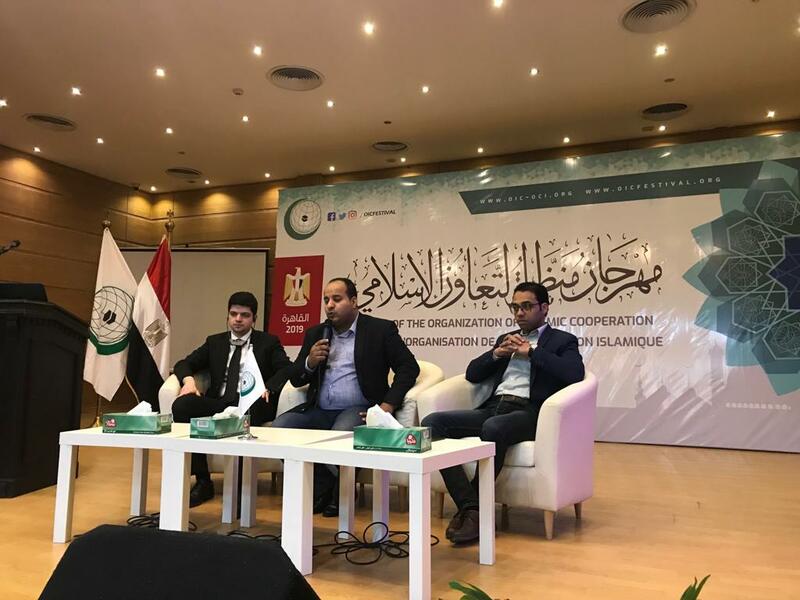 The first Forum of Youth in Islamic Countries Youth was held at the Civil Education and Youth Leadership Development Center in Al Jazeera, Cairo, to discuss the role of the youth in combating extremism and spreading moderation. The first session discussedwhy extremism proliferate among the Youth, while the second session explored the experiences of Member States in combating extremism. 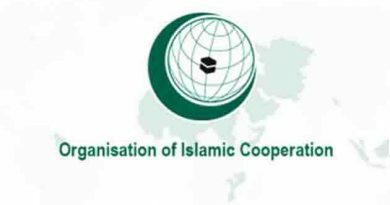 The Forum comes as part of the third day events of the Festival of the Organization of Islamic Cooperation (OIC) held in Cairo. 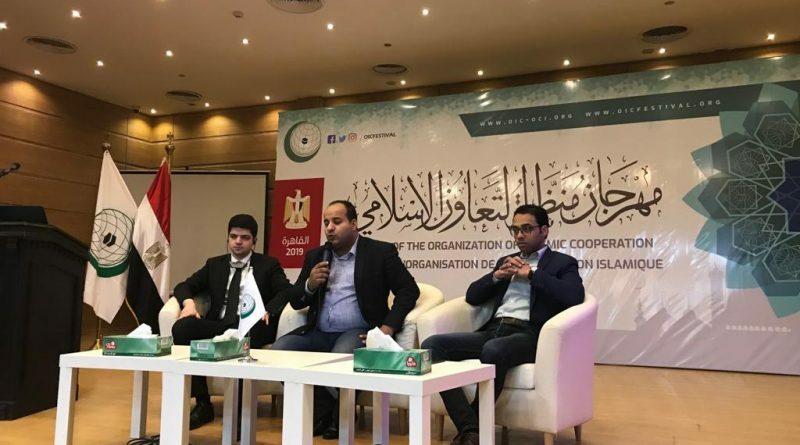 The seminar was attended by Mohamed Hasan Nadi, Deputy Minister of Youth and Sports, and Dr. Ahmed Kamel, expert in the affairs of terrorist organizations in Egypt. In his presentation, Dr. Ahmed Kamel noted that extremism is not associated with a certain religion; rather, it spans all ideas and biases. It views society from a racist perspective with contempt, while violence also frequently leads to extremism. He explained that violent extremism has multiple dimensions and degrees and that nobody is totally free from extremism, taking for instance the view towards women and intellectual extremism. “No one enjoys a fully immune mental health,” he said. Dr. Kamel also spoke about the main drivers of violent extremism, and particularly, terrorism. The major drivers according to him are injustice and oppression, and the members of terrorist organizations use injustice as a pretext to justify violence– the Muslim Brotherhood is a typical example. He added that revenge is one of the motives, as individuals, out of tribalism, try to retaliate against the state. He cited the example ofHasm Movement and other terrorist groups. In addition, foreign support provided to internal terrorist organizations, such as ISIS, is one of the main motives of extremism. The expert gave extensive explanation of violent extremism and peaceful extremism, as well as how those organizationsadopt violence and take up arms against the state. 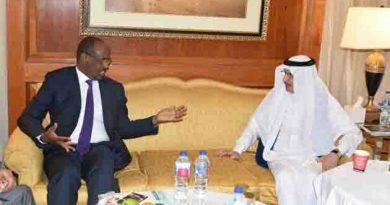 He pointed out that the lack of democracy, marginalization and exclusion areamong the motives of extremism. 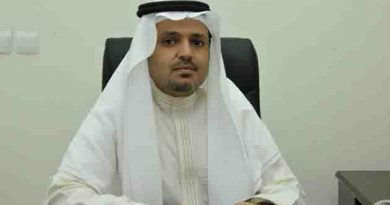 “Such motives include the various religious interpretations that are rooted in some Islamic countriesand based on declaring non-Muslim as disbelievers”, he added. ← Bangladesh-India relations is a model between two neighbouring countries which needs to be showcased for wider audience around the world : Indian Prime Minister Narendra Modi .